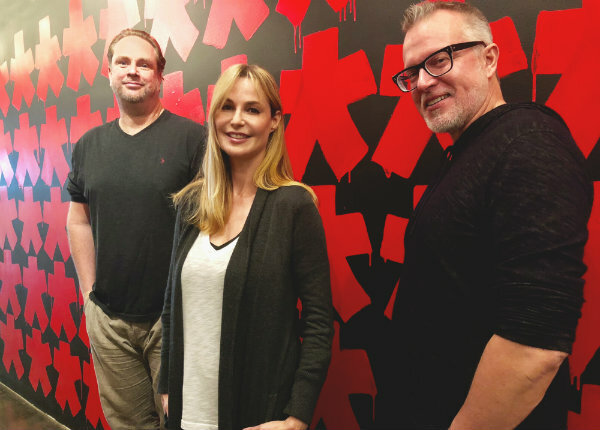 Creative agency David&Goliath (D&G) has appointed three senior creative hires to round out the Kia Motors team: Marc Schwarzberg, executive creative director, head of art/design; Mark Koelfgen, ECD/copywriter; and Frauke Tiemann, group creative director. The new hires report to David Angelo, agency founder/chairman, and Bobby Pearce, chief creative officer. Schwarzberg leads art, design and product innovation for Kia. He will also assist with new business efforts and will work with the agency’s nonprofit organization, Today I’m Brave. He joins D&G from Crispin Porter+Bogusky, where he was creative design director (art, product innovation and new business). He worked with clients including Domino’s, Infiniti (global and USA), American Airlines (US), LetGo Miami, Hershey’s US (Twizzlers, Ice Breakers, Breath Savers), Mondelēz International (Brazil) and craft beer brand Goose Island. Since 2004, Schwarzberg has been a freelance creative artistic director at Francis Ford Coppola Presents, the umbrella for all of Francis Ford Coppola’s business ventures including design, product innovation, wineries, resorts, cafes, posters and printing for his films and projects. Koelfgen joins D&G to oversee creative on Kia Motors. He spent the last three years at Ogilvy (NY) as ECD/copywriter on IBM, Comcast and Ford. While there, he wrote the most viewed IBM commercial ever (for the Academy Awards) starring Carrie Fisher. He also wrote Ford’s “Unstuck” commercial that was ranked #9 by USA Today’s Super Bowl Ad Meter. Before that, Koelfgen spent 11 years at mcgarrybowen (NY) where he eventually rose to chief creative officer of the New York office. During this time, Koelfgen grew the office from 70 people to over 700. He helped pitch and win blue chip accounts including Verizon, Burger King and Maserati. Throughout his career, Koelfgen has received industry accolades from Cannes, Communication Arts, Archive, New York Festivals, Clio, Addy and Effie. As GCD, Tiemann is responsible for helping create breakthrough work that sets Kia apart from the competition. Prior to joining D&G, Tiemann was GCD at Grey (NY + LA), where she led creative on key clients including DreamWorks, Disney and Hasbro Brands. Before that, she spent four years at mcgarrybowen (NY) as GCD and oversaw creative on Maserati and Verizon. Throughout her career, she’s worked at a number of prestigious agencies--including Crispin Porter+Bogusky, Innocean Worldwide, McCann SF, Y&R LA and Dentsu--across a number of well-known brands like Land Rover, Jaguar, Hyundai, Infinity, Sony, Xbox, Microsoft, Reebok and JPMorgan Chase. She’s been the recipient of numerous awards including The One Show, Cannes, Communication Arts, Archive, Clio, Addy and Effie.